are able to heal their lives and regain their hope. All manner of digestive symptoms have been relieved through Bioenergy Balancing, sometimes before the end of the session concludes and oftentimes, within 24 hours of the visit: queasiness, constant nausea, constipation, acid reflux, gas and bloating, Irritable Bowel Syndrome, diarrhea, ulcers, vomiting, IBD- Crohn’s and ulcerative colitis symptoms. Headaches can be debilitating and their dreaded onset can be a puzzle. Bioenergy Balancing can help inquire into possible nutritional instigators, like chocolate, caffeine, dairy, and it can inquire into other factors, like hormones or internal detoxification processes. For as painful and disruptive as headaches can be, isn’t it worth it to leave no stone unturned? Life can be stressful. Financial fears and fears of the future; abusive, past relationships, being overworked and physically depleted… there are emotional, nutritional, and physical reasons behind the anxiety, unrest, malaise, depression you feel. 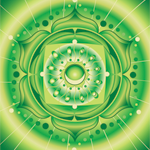 Releasing these negative emotions and experiences through the meridians and chakras during a Bioenergy Balancing session can be cathartic and healing. Dietary intolerance, including, dairy, gluten, wheat, soy, corn, nuts, etc., and other forms of toxins, parasites, etc. may all be identified using noninvasive and pain-free kinesthetic muscle testing. Clients whose cabinets are teeming with vitamins and supplements that promised improved health may also be muscle tested for their ability to absorb, digest and utilize vitamins, supplements, and efficacy of nutritional intake. Often times, clients do not realize that strange symptoms surface: swelling, rashes, allergies, itching, and redness, after an emotional interaction/reaction or a stressful event. Bioenergy balancing helps the body to communicate what the emotional or stressful trigger might have been and to help release the negative energy (and, consequently, the physical symptoms) through the meridians and chakras. If your menstrual cycle has become unpredictable, if the bleeding is profuse or too frequent, if hot flashes plague you, if menopause is imminent and osteoporosis or bone density is a concern, Bioenergy Balancing sessions can help and have helped clients. Back, neck, bones and joint pain may manifest as a reaction to an emotional or stressful event. Chiropractors make adjustments to the structure to regain proper alignment. Bioenergy balancing helps the body to identify the ideal position that would bring relief and then be open to making the shift at an energetic level. Inquiries may also be made regarding the health of the bones and joints: are the necessary ingredients for strong bones and flexible connective tissue available and being absorbed by the body? Is calcium absorption optimal? Are there signs of osteoporosis that could be averted? Phone sessions only, for any returning clients, including pets. Good for those seeking to check-in about supplements or on one, specific condition. Phone sessions only, for any returning clients. First-visit, in-office or phone, for pets. In-office or phone sessions for first-visit child clients and any returning adult clients. In-office or phone sessions for first-visit adult clients and any returning clients. Good for those who seek an in-depth review of multiple, physical symptoms and emotional concerns through meridian and chakra clearings. In-office or phone sessions for first-visit adult clients and any returning clients. Good for those who seek an in-depth review of numerous physical symptoms and emotional concerns through meridian releases and chakra clearings. All sessions include a brief consultation of current symptoms and concerns upon which the client would like to focus during the session. Clients are encouraged to bring current supplements and prescriptions. The client will then lie down, fully clothed, upon the padded table so that the Practitioner may begin muscle testing and making inquiries about nutritional health and locating energetic and physical blockages. 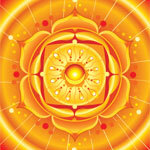 To release the blockages, the corresponding meridians and chakras will be traced on or above the body. Check and Cash are accepted. Credit Card or PayPal payments are accepted. Our office is located in San Jose, in the “heart” of Willow Glen, near the intersection of Lincoln Avenue and Minnesota Avenue, across from the Starbucks and Minnesota Avenue Mini Mart parking lot. Our building is nestled between redwood trees and a narrow driveway from Minnesota Avenue (adjacent to the Chase Bank driveway) that will lead you to a private parking lot behind our building. There is a serene, gated courtyard, accessible from Minnesota Avenue or from the private parking lot, located behind the building. The Bioenergy Balancing Center – South Bay office is located in Suite 4B, nestled in the corner of the courtyard that faces Minnesota Avenue. Clients may enter through Suite 4A, Skincare by Kelly, and wait to be greeted in the reception area, or clients may knock and enter directly through the Suite 4B door. Welcome!